Torsten Exner studied biochemistry at the universities of Bayreuth and Hanover, Germany. After conducting research in organic chemistry in a Max-Planck group in Rostock, Germany, he received his PhD in 1999 for research in pharmacology at the Free University of Berlin. Torsten then remained a research scientist, first working in lead discovery in the pharmaceutical industry in Sweden, and subsequently at the Bioprocessing Technology Institute in Singapore. Torsten started his education in intellectual property law in Singapore in 2003, where he also began his IP practice. He has been practicing in Germany since 2006. 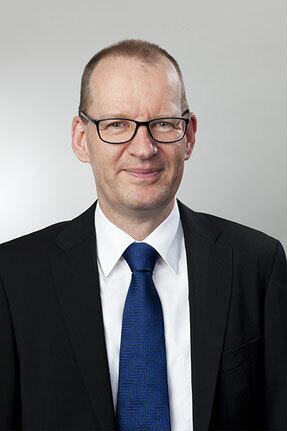 Torsten is a German and a European patent attorney and has also been admitted as an authorized representative before the European Union Intellectual Property Office. He joined the law firm of Michalski Hüttermann & Partner at the beginning of 2014. Torsten is an appointed member of an examination committee for the European qualifying examination for admission of representatives before the European Patent Office. Torsten is also a member of the Committee on Biotechnological Inventions of the Institute of Professional Representatives before the European Patent Office (epi). His main areas of practice include managing and enforcing patents and patent applications; he has extensive experience in all aspects of proceedings before the European Patent Office, including oppositions and appeals. He also drafts FTO analyses and legal opinions, particularly in the fields of pharmacology, pharmaceutics, organic chemistry, biology, biochemistry and biotechnology. "It is the chance to help individuals and companies put themselves in an optimal position and protect and defend innovations what I find fascinating about my job." Torsten speaks German, English and Swedish. He is the author and co-author of scientific publications in the fields of pharmacology, biochemistry and analytics, as well as legal publications in the field of IP.